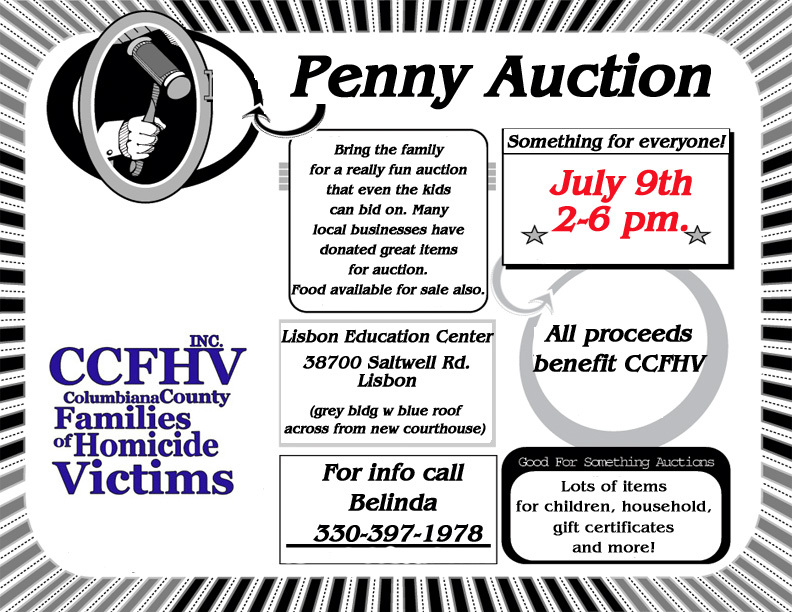 We are having a Penny Auction Fundraiser on July 9th from 2-6 at The Lisbon Education Center in Lisbon. 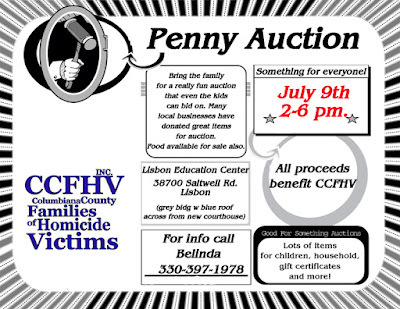 Lots of great items! Please try to attend! !